When people visit your facility, you need to provide them with directions that will help them find the person or room they are looking for quickly. Directory signs are the perfect solution. By placing building directory signs at the entrance to your facility, you can give visitors an easy method to find their way around. 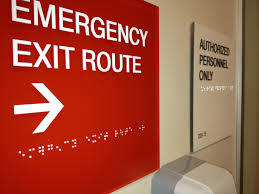 It doesn’t matter if you have a facility that is all on one level or a multi-story building, directional signage can still help people get to where they need to go. By installing attractive and convenient building directory signs, your visitors will feel right at home when they walk into your facility, and they won’t have to go searching around on their own without any sense of direction.